Hue is one of the main properties of a color, defined technically as "the degree to which a stimulus can be described as similar to or different from stimuli that are described as red, green, blue, and yellow," (the unique hues). The other main correlatives of color appearance are colorfulness, chroma, saturation, lightness, and brightness. Usually, colors with the same hue are distinguished with adjectives referring to their lightness and/or chroma, such as with "light blue", "pastel blue", "vivid blue". Exceptions include brown, which is a dark orange, and pink, a light red with reduced chroma. In colorimetry and color theory, colorfulness, chroma, and saturation are related but distinct concepts referring to the perceived intensity of a specific color. Colorfulness is the degree of difference between a color and gray. Chroma is the colorfulness relative to the brightness of another color which appears white under similar viewing conditions. 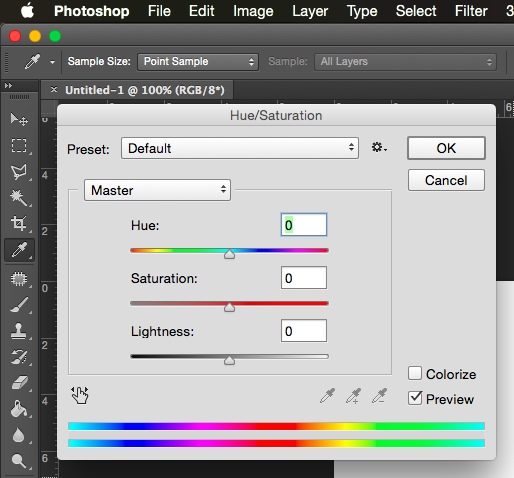 Saturation is the colorfulness of a color relative to its own brightness. Though this general concept is intuitive, terms such as chroma, saturation, purity, and intensity are often used without great precision, and even when well-defined depend greatly on the specific color model in use.